For the past five years, Consumers Energy has awarded RetroFoam of Michigan for our hard work to make homes more energy efficient. New Windows or New Insulation: What is best for energy efficiency? You’re a homeowner that understands energy efficiency updates to your home will pay off in the long-run. 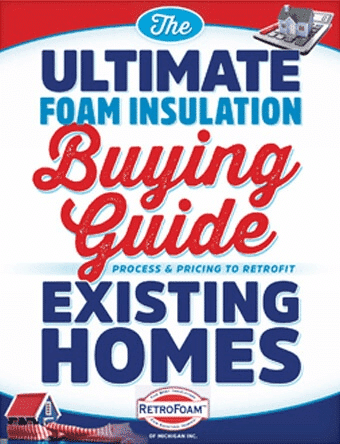 Traditional insulation may seem like the less expensive choice for your home, but did you know in the long run foam insulation ends up being cheaper? It’s a great idea to insulate your crawl space with spray foam, it's going to bring many benefits like eliminating a lot of the drafts that can make your floor chilly and drive your energy bill up. Insulating the crawl space with foam completes the air seal which is the outermost layer of your home that stops heat flow. You want to make sure that you make the envelope right for your home when insulating a crawl space with spray foam. This is where a lot of heat can be lost and if it’s cold that means your floor is cold too. Along with the Holland On-Bill Loan Program, homeowners in the city of Holland will soon be getting an extra incentive to make major energy efficient improvements to their homes. As homeowners, we all rely heavily on the Big Four.